It's your chance to see the Magic of Lights Ottawa spectacle at the Wesley Clover Parks Campground during the 2018 holiday season! This magical event, that has quickly become a holiday tradition for many Ottawa residents, is comprised of festive lighted displays celebrating the joy of the holidays! 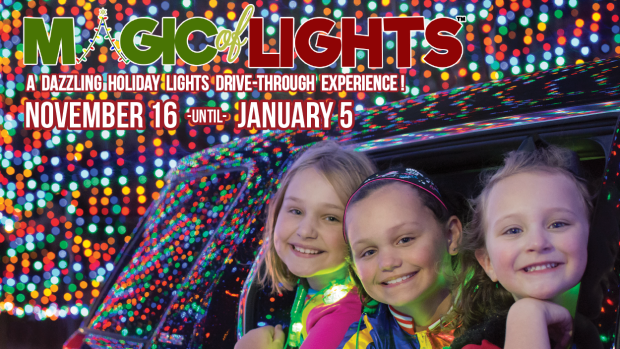 A “drive through” experience from the comfort of your own car, at every turn and in every direction the magical route is overflowing with spectacular light displays and animations. New attractions in 2018 will include “Candy Cane Lane”, a 200-foot animated Candy Cane celebration, as well as a twinkling “Snowflake Forest” winter spectacle. E-mail for your chance to see it for free. We're giving away 10 vehicle passes through the course of the week! Contest runs Monday, November 26 at 6 a.m. to Friday, November 30 at 10 a.m.